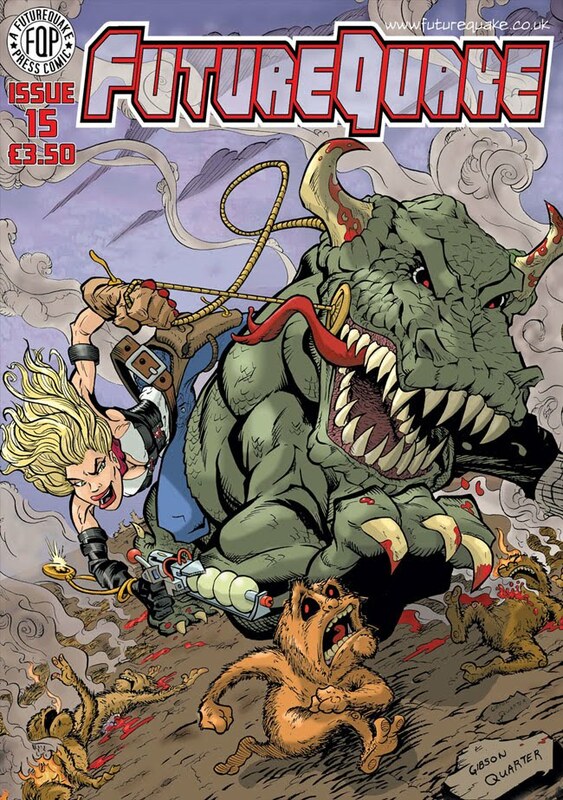 FutureQuake15 boasts a cover from the rather splendid Gibson Quarter, to go along with the Extinction Hunter strip that he pitched to us. Which is due to go to the printers on Monday, ready for Hi-Ex 03 at the end of March. Mirage is written by Chris Hayden, with art by John Cahill. The strip is six pages long and will feature in Something wicked 06. 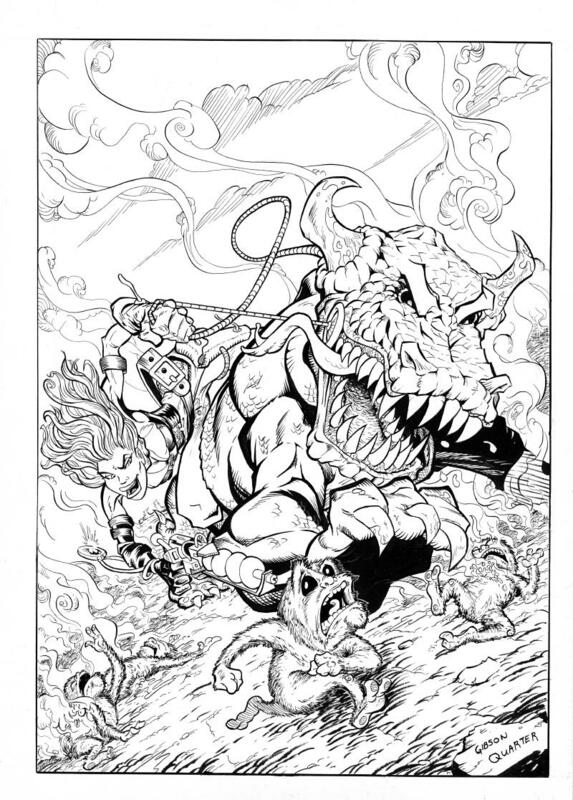 Flesh- Extinctionville is written by Mark Howard, with art by the extra talented Chris Geary. 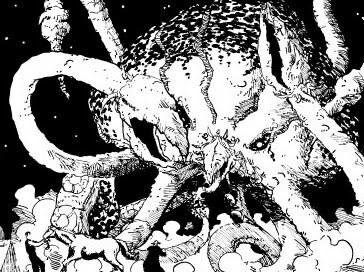 The strip is twenty-four pages long and will feature in Zarjaz 10. This strip will also feature on the cover with art by… not telling. Mr Robinson is written by Mike Lynch, with art by Newcomer Paul McCallan. 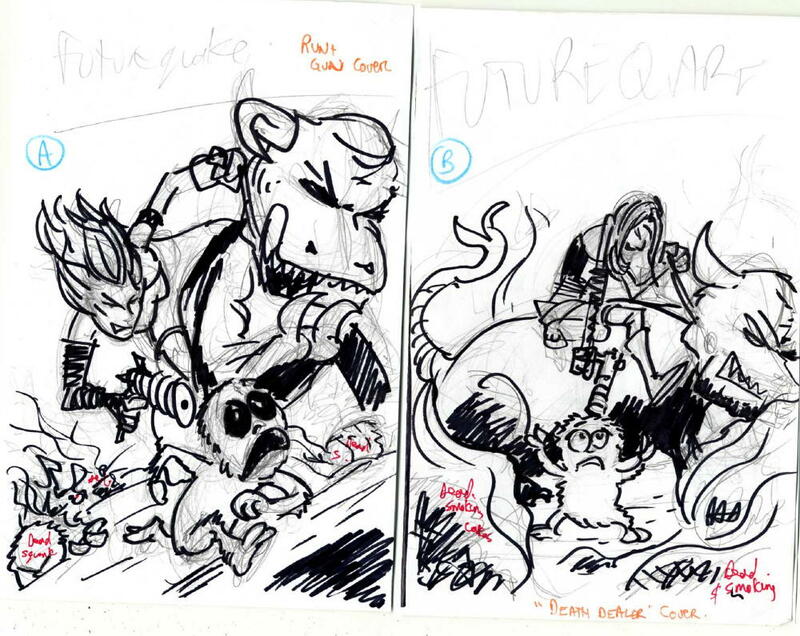 The strip is five pages long and will feature in FutureQuake 16. The Last Laugh is written by Karl Stock, with art by FQP regular Chris Fenolgio. 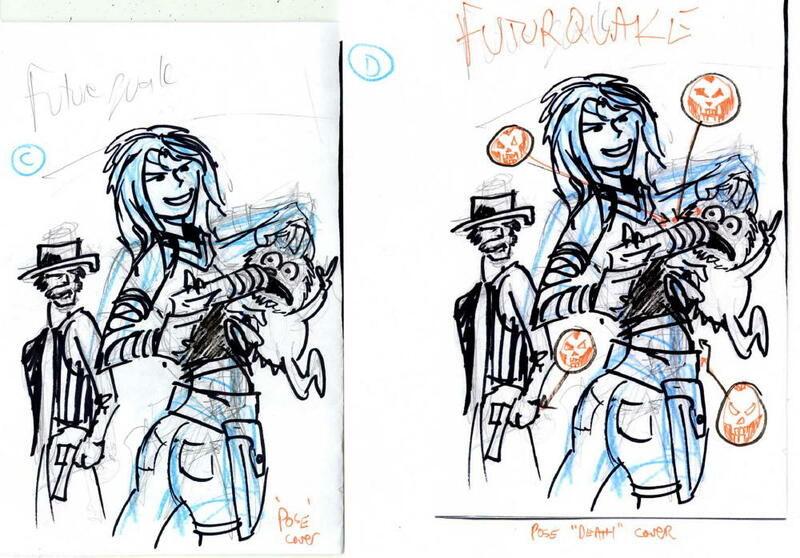 The strip is four pages long and will feature in FutureQuake 16. Over on his blog Chris has posted lots about how he worked on this strip, and I’ll be working this up into a post here as time gets closer for publication. 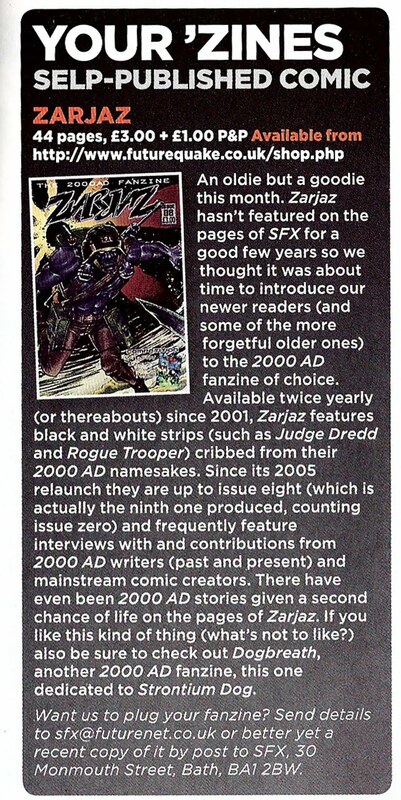 SFX Fanzine of the month: ZARJAZ 08. A very nice write up here, many thanks to all at SFX.